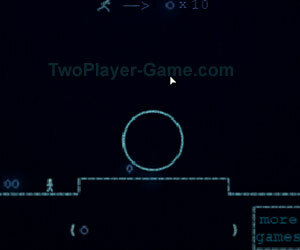 Blue - the game, 2 player games, Play Blue - the game Game at twoplayer-game.com. Collecting Game,Blue is a fast paced platforming and avoiding game! In Ring Mode, dodge the bouncing balls and collect rings to continue to the next level. Need more of a challenge? Try getting a high score Frenzy Mode where every ring you collect spawns a new ball. The entire game can be played in co-op mode, you'll be able to collect rings twice as fast, but will also be twice as vulnerable! Player 1: Arrow Keys and Player 2: WASD Try double jumping, wall jumping and sliding!